1514 NW 158th Ave, Pembroke Pines, FL.| MLS# A10577879 | Susan J Penn l Best Agent l Buy & Sell South Florida Homes! 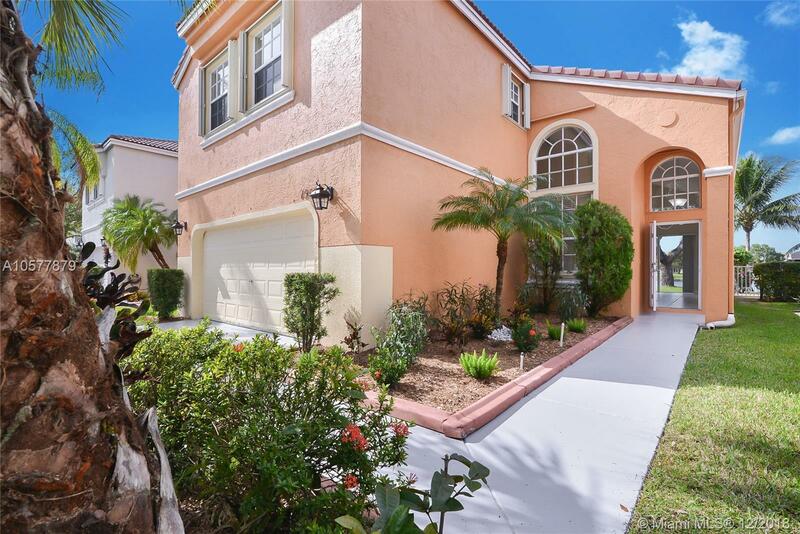 BONUS $1,000 EXTENDED TO 5/15/19 Waterfront Home in a Gated Community captures Elegance and Style with UPGRADES GALORE! Features a two story open floor plan Vaulted Ceilings, NEW Kitchen with Granite Counters , Upgraded Stainless Steel Appliances package, Custom Wooden Cabinetry with added moldings and back splash finished to perfection. Both interior and Exterior Lighting has been replaced throughout home, All Interior Doors,Blinds and Screens,baseboards Staircase layered with laminate flooring to upper level opens to Master Suite with french doors and 3 bedrooms with two updated baths. Great for entertaining overlooking lake from living room and Family room! Outdoor patio area embraces a relaxed environment for Sunrise or Sunsets!Laundry Room with upgraded washer & Dryer! Directions: Sheridan Street West Of I-75 To Dykes Rd, South To NW 15th St , Left To Canary Bay.